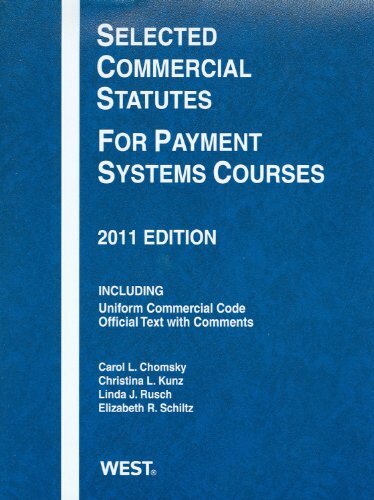 This statutory supplement supports casebooks and other teaching materials in courses focusing on payment systems. It begins with the most widely used version of the Uniform Commercial Code, consisting of the 2009 version of Articles 1 and 3 -9 and the 2002 version of Articles 2 and 2A. Appendixes contain the Permanent Editorial Board commentaries, as well as earlier versions of Articles 1, 3, 4, and 7, and the 2003 and 2005 amendments to Articles 2 and 2A, in underline-strikeout form with the Official Comments. The Uniform Electronic Transactions Act and significant federal legislation and regulations related to payments are also included.